This is the new Porsche 911 Turbo. 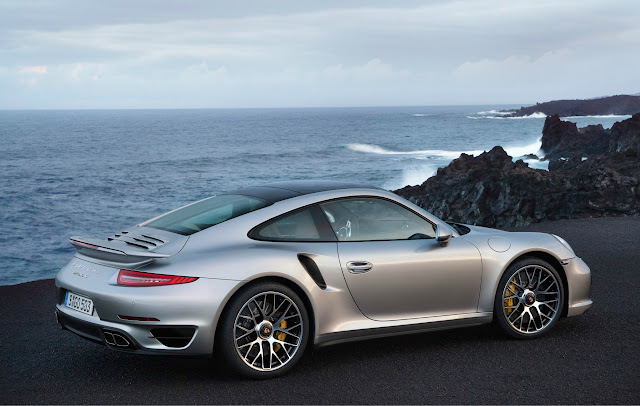 It is available from September, produces up to 560hp and costs £118,349, or £140,852 as the Turbo S in the UK. In the US the 911 Turbo will cost $149,250 and the Turbo S will be $182,050. Whilst it's the 50th anniversary year of the 911, it is also the 40th anniversary of the 911 Turbo. 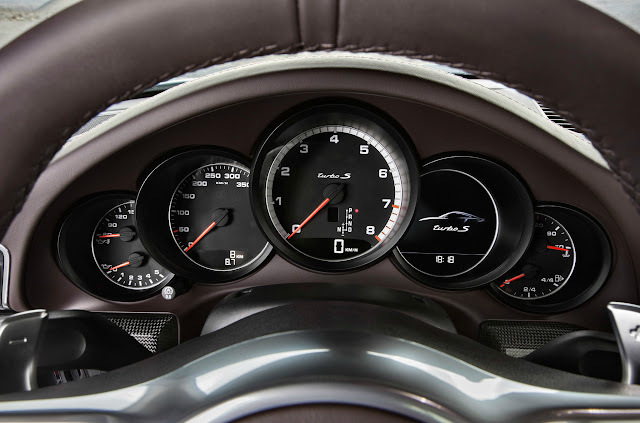 Nowadays a turbo is nothing special in most road cars but in the 911 it represents the peak of the range. The Turbo is the ultimate road 911, rather than the GT3's track-focussed nature. 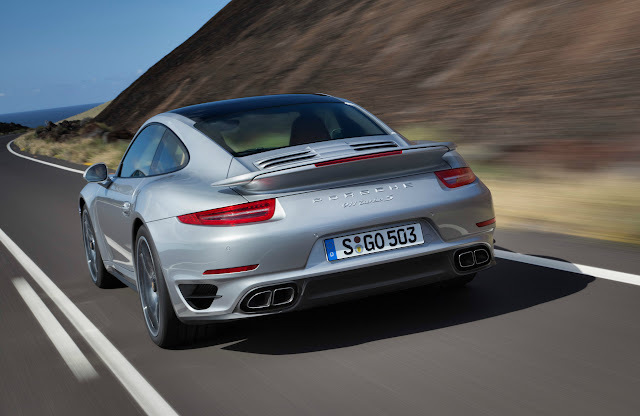 Indeed the Turbo's 560hp substantially outgrunts the GT3's 475hp. The engine is the new 3.8 litre flat-6 which gets twin turbochargers and produces 520hp in the Turbo and 560hp in the Turbo S. The only gearbox available is the 7-speed dual clutch PDK. It's a great 'box (which I tried in the Carrera S) but represents something of a digression in that no manual will be offered. 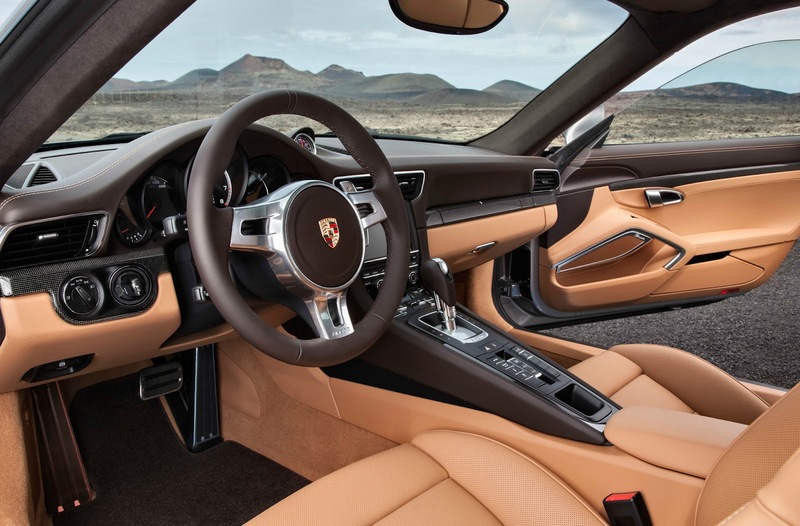 Don't get me wrong, the PDK changes gear faster than any other semi-auto I've tried, but it doesn't provide the satisfaction of a manual gearbox. 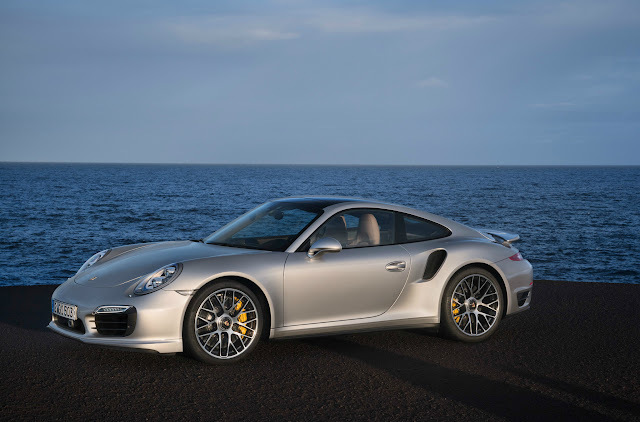 The all-new body is 28mm wider than the Carrera and 100mm longer than the 997 Turbo which, as well as those huge cooling vents, houses a new four wheel drive system which Porsche calls PTM. 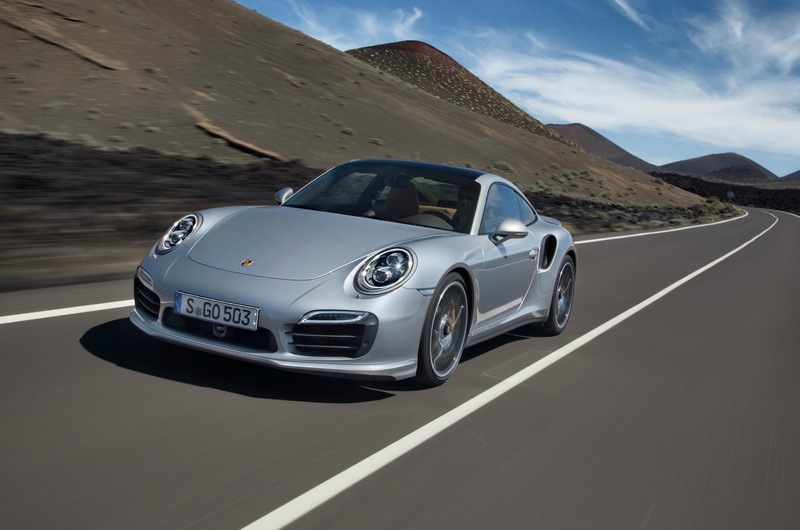 Power is distributed faster than ever to the wheels that need it, which results in 0-62mph times of 3.2 seconds for the Turbo and 3.1 for the Turbo S. Top speed is 197mph. A stop/start system (ugh) combined with a thermal management system for the engine and gearbox bring fuel consumption down to 29.1mpg. 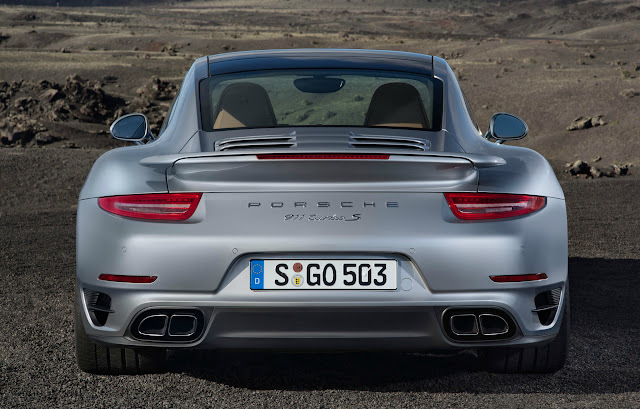 A heroic figure for such a powerful car but who wants stop/start in a 911 Turbo? Electronic goodies include Porsche Dynamic Chassis Control which reduces body roll and Sport Chrono which includes dynamic engine mounts, firms up the damping and steering and increases the exhaust noise. 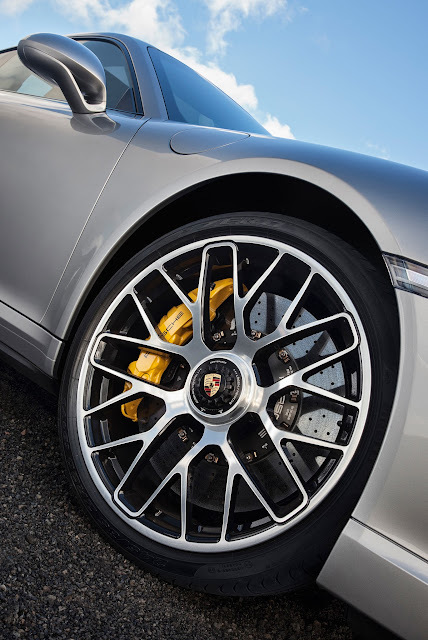 The 911 Turbo also gets PCCB as standard - Porsche Ceramic Composite Brakes. This should ensure reduced brake fade, and which helped the 911 Turbo S set a time round the Nurburgring of 7 minutes 30 - on standard tyres. Porsche introduce rear-axle steering on the 991 Turbo. It uses electro-mechanical actuators with a steering angle of up to 2.8 degrees. At up to 31mph the rear wheels steer in the opposite direction to the front. From 31 to 50mph the rear wheels point straight ahead but over 50mph the rear wheels start to turn in the same direction as the front. Active aerodynamics come into play on the 911 Turbo via not only an adjustable rear spoiler but a front spoiler too, with three settings. Porsche reckon this improves lap ties round the Nurburgring by up to 2 seconds. The prices represent a substantial increase over the 997 Turbo but with the extra power and package it seems a worthwhile price to pay.